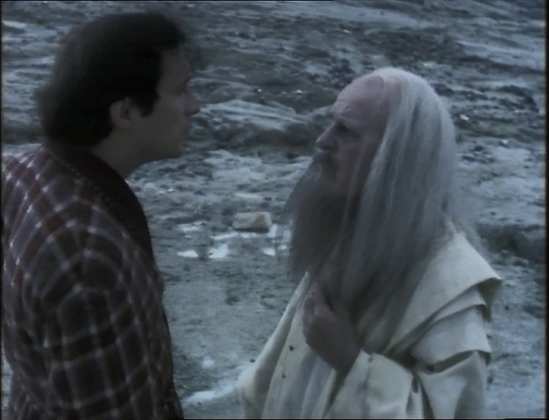 It was the chance purchase of the feature film adaptation that got me indulging in The Hitchhiker’s Guide to the Galaxy again, as while the movie is entertaining, it’s not the feature film adaptation that some might have hoped for. To ameliorate my disappointment, I went and picked up the books, and have been trekking my way through those over the last few months. 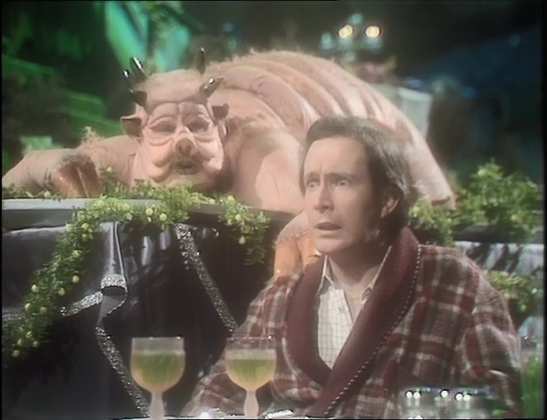 It’s practically inevitable then, that I would track down the BBC television series adaptation of The Hitchhiker’s Guide to the Galaxy, and coming from the middle of the DVD era, it’s a lavish presentation indeed. And as usual, someone out there is p***ing themselves laughing at me. 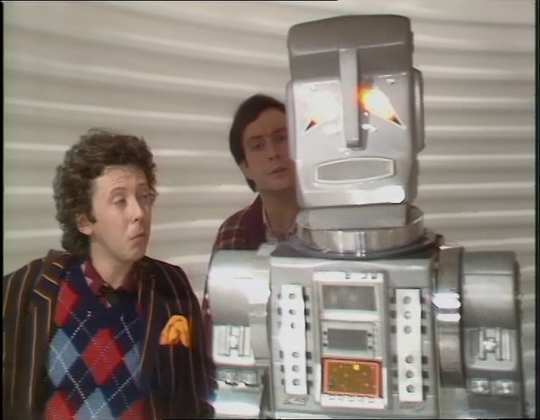 A couple of days after I finish writing this review, the BBC announce a Blu-ray release of the Hitchhiker’s Guide to the Galaxy, with all new extra features, and the film elements of the series (the exterior bits) presented in full HD. 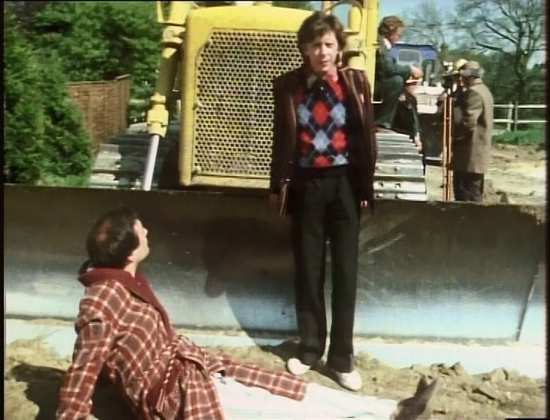 Arthur Dent is having a bad day. If it isn’t his house being demolished for a bypass, it’s the whole planet being demolished for a hyperspace motorway. 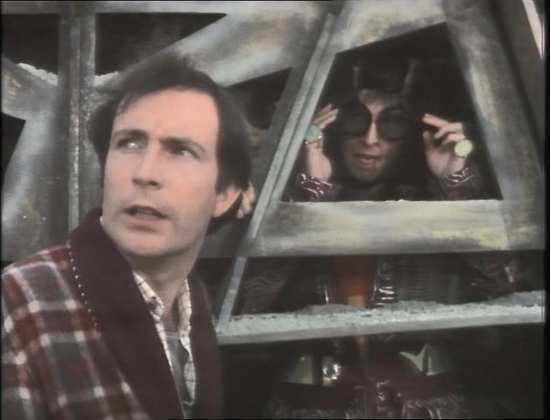 Fortunately, Arthur made the right friend in Ford Prefect, who it turns out wasn’t from Guildford, but from somewhere near Betelgeuse. 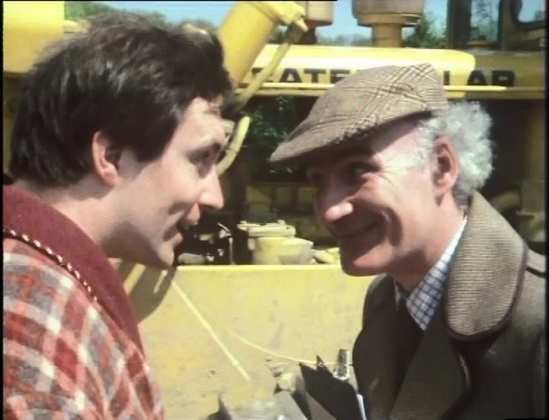 He was on Earth writing a revision for the Hitchhiker’s Guide to the Galaxy, the essential manual for the intergalactic traveller, and managed to supply Arthur with a towel, and thumb a lift for both of them before the Earth imploded. 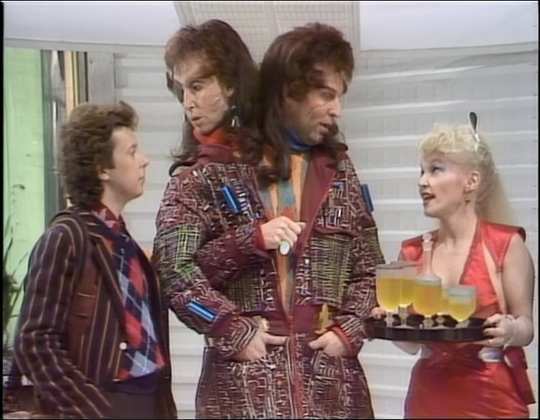 It was a stumbling block that they were picked up by one of the Vogon ships that had been sent to demolish the planet, but they were rescued, for want of a better word, by the fugitive President of the Galaxy, Zaphod Beeblebrox, in his stolen spaceship, the Heart of Gold. With another survivor from Earth, Trillian, and the most depressed robot in the galaxy, Marvin the paranoid android, they’re on a voyage to discover the meaning of life, the universe, and everything. 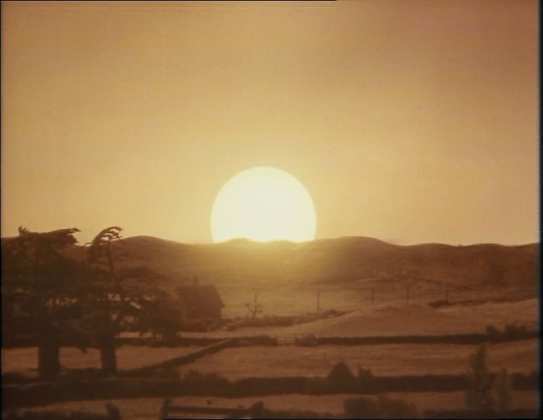 The Hitchhiker’s Guide to the Galaxy gets a 4:3 regular transfer on the disc. It’s a series shot on videotape, so it’s never going to look fantastic, but it’s clear enough, the image is stable and detail levels are fair. You have to put up with the usual softness, the odd moment of glare and so on. What struck me was just how variable the production values were. 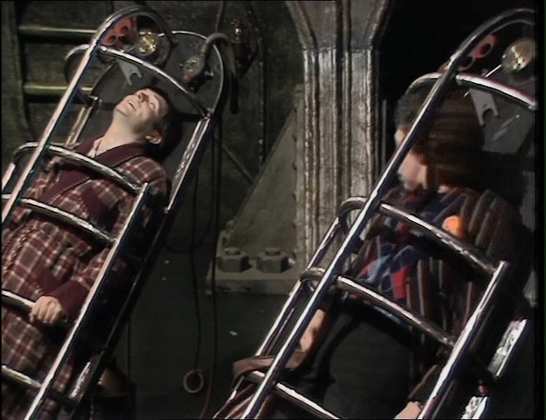 Some of the sets looked like they had money spent on them, Marvin certainly got a fair chunk of the budget, but some scenes really did look cheap and cheerful, all bubble-wrap and cardboard walls. You have the choice between a Dolby Digital 2.0 Stereo English track remixed for the DVD, or the original Dolby Digital 2.0 Mono with optional English subtitles. The stereo track is initially impressive, throwing effects around the soundstage, but it’s unnerving the way that it can’t make up its mind where the voice of the Guide comes from, and prolonged exposure shows that dialogue tends to be buried beneath the effects track. The mono audio is definitely the way to go here, but the disc defaults to the stereo. You get 2 discs in an Amaray case, one on either face, with contents listed on the inner sleeve. The discs boot to animated menus. Disc 1 presents the episodes with optional and copious Production Notes, a subtitle stream that does the job that an audio commentary would have done. Don’t Panic lasts 26:03 and is a retrospective of the show with interviews with the cast and crew, both contemporary from 1981, and later on from 1992. Behind the Scenes is a 7:20 snippet of B-Roll footage looking at one particular scene. 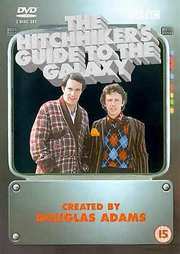 Arthur Dent returns to Earth in 1992, and picks up the Guide to learn about The Making of The Hitchhiker’s Guide to the Galaxy, which lasts 58:35. Communicate lasts 10:28 and offers another Making Of, this time of the radio series. 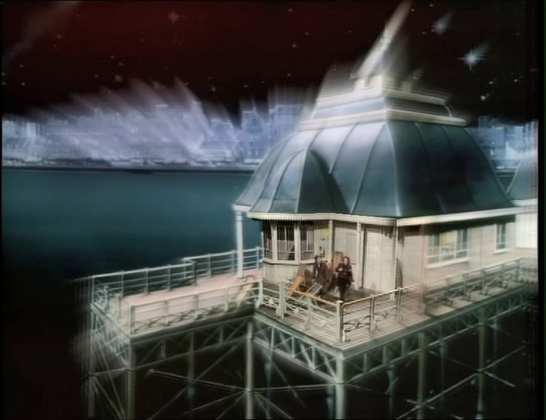 Pebble Mill at One lasts 6:36 and features a short interview with director/producer Alan Bell, and animator Rod Lord. There is a 2:13 deleted scene from episode 2, and there are 9:15 of fluffed lines in Out-takes. The Tomorrows World Sequence lasts 2:27 as Keiron Prendeville takes us into Zaphod Beeblebrox’s second head. The Peter Jones Introduction to the series lasts 8:29 and is delivered with quintessentially dry humour. There are trailers, introductions and idents for the show running to 2:33. There is a Photo Gallery with 67 images to click through. Finally there are 4 Easter Eggs to seek out on both discs. I wasn’t expecting that. The Hitchhiker’s Guide to the Galaxy was dull. I don’t know what happened during the decades between viewings; maybe 12 series of Red Dwarf showed me how sci-fi comedy can actually be funny, but I barely raised a smirk this time. I love the Hitchhiker’s Guide to the Galaxy in book form still. I wore out the audio tape that I kept borrowing from my local library, and yes, I did like the TV show when I first watched it some thirty years ago. I also enjoyed the more recent feature film, although it did have a few issues, which I thought would be rectified by re-watching the original TV series, that of weight, and depth. Certainly, the TV series is a more faithful adaptation of the books, but that might just be its weakness. The series has a strong opening, and the final episode is just as impressive, but the middle episodes are wayward, self-indulgent and, quite frankly, dreary. 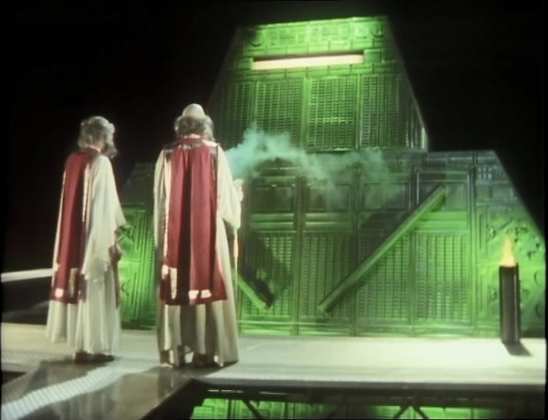 The Hitchhiker’s Guide to the Galaxy has often been described as a cult TV series, and in my extended definitions of the word cult, as applied to entertainment, this is definition 15, ‘not very good’. The humour in the show comes from the animated interjections from the eponymous guide, and this is ‘smart’ funny, not ‘ha-ha’ funny. It’s comedy where you get a vicarious frisson from recognising the wit of the author. 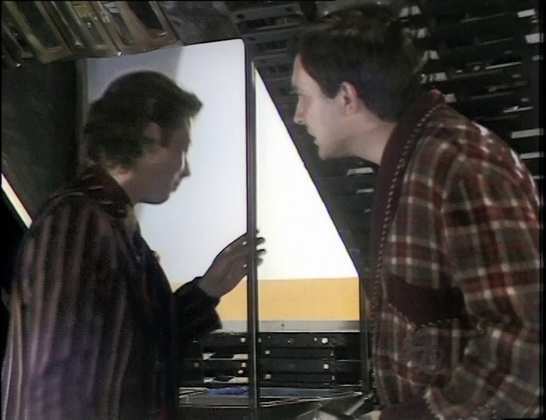 As for the story itself, the ramblings through the galaxy of Arthur Dent, Ford Prefect, Zaphod Beeblebrox, Trillian and Marvin the Paranoid Android; it’s a roller coaster ride over which they have no control, so the viewer investment has to be in the characters, not the journey. 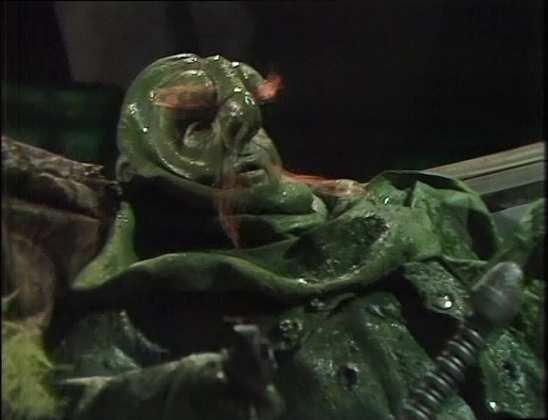 Looking at the Hitchhiker’s Guide to the Galaxy now, I have to say that I just don’t rate the acting at all. I don’t know how much of it is down to the direction, and how much down to the actors; certainly there were almost flubbed lines where you might have expected another take, but any scene between Zaphod and Ford just didn’t feel real to me, while Trillian is another female character that is practically a non-entity. Only Arthur’s constant air of befuddlement felt true. It’s the indulgence in the written word that slows the pace of the thing right down. Certainly Marvin’s lapses into melancholy drew on for far too long, and another example is the host at Milliways, whose spiel about the end of the universe just droned on and on and on. Jokes on paper don’t always work when spoken out loud, and The Hitchhiker’s Guide to the Galaxy is replete with such material. It certainly makes me re-evaluate the feature film, which as well as having stronger acting performances, made the effort in adaptation to make the material work on screen. Back in 1981, sci-fi comedy just didn’t exist as a genre, which might explain why I lapped the TV series up initially. But now it is a viable genre of entertainment, and there is a whole lot out there that is better. That there would be no Red Dwarf without Hitchhikers paving the way is certain. That Red Dwarf is better is also apparent.